We also learned about the strength model of self-control, which draws parallels with the strength of muscles: if you use their strength for one task, there is less left for subsequent tasks. 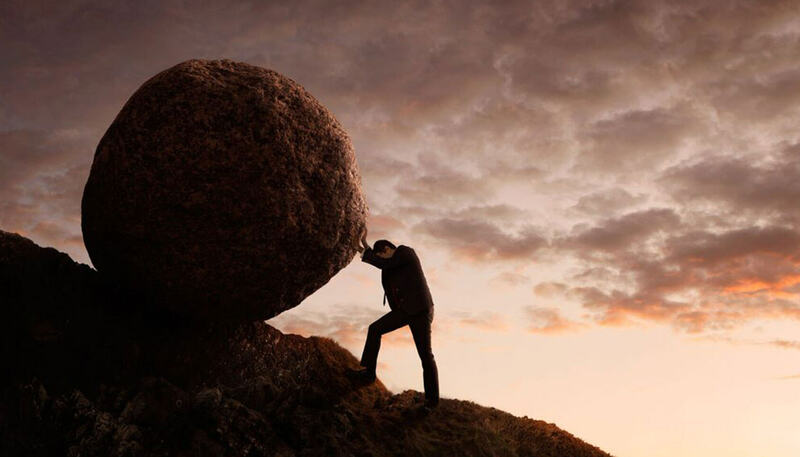 Likewise, proponents of the strength model argue that willpower/self-control draws upon limited mental resources which, once depleted, will leave any given person much more vulnerable to temptation. Any task requiring self-control has a hindering effect on a subsequent self-control task, even if the tasks are seemingly unrelated. Taken together these theories provide a working understanding of willpower and self-control: in order to effectively exercise self-control in any situation, we need to utilise our “cool” system. And draw carefully on our finite supply of willpower. In this blog, we look at a range of techniques that will boost your willpower and help you do the right thing more often. These come in various forms: habits, practices, tips and tricks that can be harnessed to great effect in bolstering our rational, disciplined, goal achieving side. So here is our rundown of some practical ways you can achieve these gains in willpower and, in turn, achieve your goals. Research has consistently shown there to be a relationship between blood sugar levels and self-control. Eating regularly and well is the answer. And healthy meals without refined sugar will be better than fizzy drink at keeping blood-sugar levels strong and steady – rely too much on the sugar high and you’ll be laid low later on. In an emergency, go for a piece of fruit, which is full of naturally occurring sugars. Feeling good is a sure way to increase your willpower. Unfortunately, when we’re aware of the fact we’re low on willpower, we’re likely in a bad mood. Taking a little time for yourself to restore your spirits can be a productive investment of time. How? US researchers Dianne M Tice, Roy F Baumeister, and colleagues explored the effects of mood on willpower in a paper published in the Journal of Experimental Psychology. They found that willpower depletion can be overcome in part by “positive affect”, ie being in good spirits. When they improved their subjects’ moods with comedy videos and surprise gifts, the willpower-depletion effects normally seen after exercising self-control were diminished. So, load up some Eddie Izzard and you should have no trouble finishing that report! Avoiding temptation is an effective tactic for maintaining your willpower resources. In the Marshmallow Study on delayed gratification, described in part 1 of this willpower series [link part 1], US psychologist Walter Mischel found that the children who looked at the marshmallow treat had more trouble resisting than the kids who closed their eyes, turned away, or otherwise distracted themselves. This “out of sight, out of mind” principle applies to situations that don’t involve marshmallows, too. Leaving social media sites open on your computer will likely result in you wasting more time. Research published in the Journal of Experimental Social Psychology by Thomas L Webb of the University of Sheffield found these implementation intentions to be an effective way of navigating decisions that require self-control by preparing individuals with a stock, automatic response that negates any willpower-exhausting deliberation. A recent study by the US Albany University psychology professor Mark Muraven, published in the Personality and Social Psychology Bulletin, provides evidence suggesting willpower depletion can be mitigated by beliefs and attitudes. Put another way, if you are motivated to do a difficult task because you believe it will benefit you or others, you should have no problem exerting your willpower. If you expend all of your willpower on dramatic and diverse changes to your habits, you’re going to run out of willpower and find yourself demotivated. A much more effective way of changing your behaviour is known as habit stacking. Essentially, this involves stacking a new habit on top of an existing habit. A very simple example is to stack new habits to your tooth brushing routine, like flossing and applying sunscreen. Sleep is a prerequisite for optimal function (link sleep deprivation blog). This includes self-control – adequate rest tops up our reservoir of willpower. A full night’s sleep not only reduces the body’s need for glucose but allows for more efficient use of the glucose we have. A full night looks roughly like 7-8 hours a night for an adult and 10-12 hours a night for a child. Unfortunately, even under the best circumstances, it impossible to exercise total self-control all the time. Unless you’re Bruce Lee. Or maybe a veteran Buddhist monk. Everyone makes poor decisions from time to time. Those poor decisions will occur more often and be compounded if you don’t go easy on yourself when you fail from time to time. Take a break! Go for a walk. Eat a piece of fruit. Read a chapter or two. Have a nap (link nap blog). After a brief respite, you can get right back to it with renewed vigour and determination! Finally, don’t be so damn hard on yourself! This is also related to the break thing. A good goal should be challenging; setting a goal that is easily achieved defeats the point. A natural consequence of this is that sometimes you will come up short. Your willpower will prove insufficient. Your self-control will falter. Don’t let it get you down: that negative self-talk is a major impediment to the eventual fulfilment of your intentions. Give yourself a pat on the back, remember that this life business can be pretty tough, and get back to it (perhaps after one of those breaks we mentioned). Let us know in the comments if you have favourite techniques to boost your willpower. Next PostWILLPOWER PART 1 – ARE YOU HOT OR COOL?